From sanitizing shopping carts with antibacterial wipes to popping Vitamin C supplements, we do our best to thwart off nasty cold and flu viruses. At Mills Chiropractic & Wellness Center, we are passionate about helping our patients enjoy optimal health throughout the year. Here are some ways you can boost your immune system, so bugs don’t stand a chance of sidelining you this season. Eating a healthy diet, engaging in regular exercise and getting adequate rest (aim for eight hours a night) provide a foundation from which our bodies launch all defensive and offensive processes. When your foundation is healthy, there’s a greater likelihood that you won’t get sick but if you do you will likely get better faster. One of the simplest things you can do to keep pesky germs away is handwashing. Spend about 15 seconds scrubbing your hands with soap and water. You can bolster your body’s ability to stay healthy by taking some essential supplements. These include Vitamin D and Zinc, which can assist with initiating an immune response. A chiropractic adjustment is also remarkably effective when it comes to bolstering your body’s ability to keep sickness at bay. A single chiropractic adjustment boosts your immune system up to 200-fold! Alignment is the key to fostering optimal health. To further toughen your immune system we recommend ImmuCore, which contains mushroom extracts to help kick-start the immune system. We also recommend buffered Vitamin C as it’s much more easily absorbed than plain ascorbic acid. What If I Still Get Sick? Despite our best efforts, sometimes we still can get sick. In cases like that, we typically recommend an intense but short burst of Vitamin A supplementation as an additional way to boost your immune system. Because every patient is unique, we provide recommendations that are customized to meet their health goals. 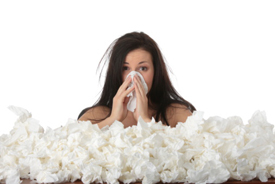 Contact us today to inquire about our suite of offerings to help fortify your defenses this cold and flu season!